Home · Property Management · Latest News : Are You Making a Mistake with Late Fees? Are You Making a Mistake with Late Fees? A late fees policy is a popular way to assure regular rental income. Get It Write In order to charge a late fee, the tenant has to agree to the provision in the lease. If your current tenant hasn’t signed a written lease, you will have a very difficult time proving you were entitled to charge a late fee. While nearly every standard lease contains space for a late fees provision, the specifics are rarely spelled out. If the blanks aren’t filled in, the landlord can’t charge the “standard” late fee. Be clear on the terms for late fees, and include all contingencies, like the length of any grace period. Whats Reasonable?To determine if your fees are reasonable–a legal requirement for charging late fees, you should consult a qualified attorney in your area. Some states cap the maximum amount you can charge for late fees (5% is not uncommon.) This cap may apply regardless of how you calculate the fees. Where no specific maximum is stated, the determination of what is reasonable may be left to a judge. When judges look at the term ˜reasonable they often draw a correlation between the fee and what the landlords actual loss may be. For example, what you will be charged in late fees on the mortgage. Usually administrative costs, like sending a letter to collect rent, will be considered. While charging a late fee can work as a deterrent to a tenant for being habitually late with the rent, it cannot be designed to punish the tenant. If the fee is so high in relationship to the actual loss it could be considered a penalty, it could be thrown out by the judge. In that case, you could find yourself paying the tenants attorneys fees. It is important for landlords to know that in some states, late fees are not generally favored by judges, so they will look for reasons to void your late fees provision, as opposed to ways to enforce it. 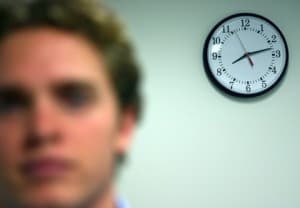 The Fashionably Late Tenant One problem with a policy of charging late fees in a bad economy is that it can look like a viable option for financing to a tenant who decides to use the grace period to pay other creditors before the rent. Paying a late fee may help a tenant avoid losing a cellphone or credit card account and actually enables irresponsible tenants. Late fees can serve as motivation for some tenants, but the late fee provision should not prevent the landlord from evicting a chronic late-payer.